Property 6: Beautiful Norwegian Style Cabin! Huge wood Fireplace! On the PTCC Golf Course! 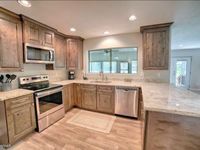 NEW VRBO, Gorgeous, Remodeled cabin In Pinetop Lakes Country Club! Property 9: NEW VRBO, Gorgeous, Remodeled cabin In Pinetop Lakes Country Club! Property 12: Beautiful 5-Star Premier listing home in gated community of Pinetop Crossings! Luxurious Ski Chalet With Hot Tub - Close to Sunrise! Property 14: Luxurious Ski Chalet With Hot Tub - Close to Sunrise! AVAILABLE FOR SPRING BREAK!! TOTAL REMODEL ON GOLF COURSE -IN QUIET CUL-DE-SAC ! Property 16: AVAILABLE FOR SPRING BREAK!! TOTAL REMODEL ON GOLF COURSE -IN QUIET CUL-DE-SAC ! Pinetop Home on Golf Course - Near Ski Resorts! Property 21: Pinetop Home on Golf Course - Near Ski Resorts! A slice of heaven in the pines! Modern cabin living in Pinetop, Arizona! Property 23: A slice of heaven in the pines! Modern cabin living in Pinetop, Arizona! Property 24: Dog-Friendly Home w/Deck on Pinetop Lakes Course! NEW! Cozy Lakeside Home w/Deck- Near Rainbow Lake! Property 32: NEW! Cozy Lakeside Home w/Deck- Near Rainbow Lake! Lone Pine Lodge: Your White Mountain Getaway! Property 35: Lone Pine Lodge: Your White Mountain Getaway! Breathtaking Mountain Getaway in Pinetop, AZ! 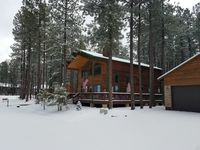 Property 37: Breathtaking Mountain Getaway in Pinetop, AZ! Beautiful Vacation rental on Golf course! Property 40: Beautiful Vacation rental on Golf course! Very cute, comfortable cabin. We enjoyed our stay. Kitchen is fully equipped with everything you need to prepare meals. Porch sitting and relaxing was part of the everyday enjoyment of the area for us. The cabin in spacious and clean. Had an amazing time and will be up again.